ALERT: NO FRESH EGGS UNTIL JULY. A few weeks ago, we had a fire in our turkey coop that killed all the poults we had started for Thanksgiving, and several adult birds as well. As a result, in order to make repairs, we have liquidated our layer flock temporarily so that we can move the remaining turkeys and make repairs to the turkey coop. 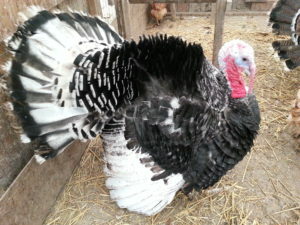 We are hatching more turkeys, but will have a limited number available this year, so please place orders early. We have ordered replacement pullets to arrive in late June, and will have eggs daily starting in early July. Please stay tuned for further updates. Wow, how time flies. It’s almost Spring again, and the hens are all busy at work laying eggs. On March 18, I am expecting 11 turkey poults. On March 26, another 5 turkey poults, and on April 1, 6 more. 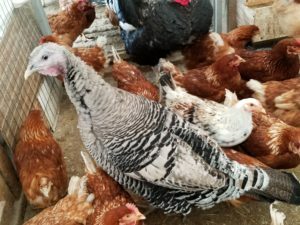 Every Sunday I’ll be putting more eggs into the incubator, and will be hatching plenty of poults for your own backyard flocks, 4-H shows, and Thanksgiving dinners. Most will be Narragansett and some will be a Narragansett color variant and a very few will be Bronze. Over the course of the season, I’ll be offering assorted backyard chicks. All are sired by an Ayam Cemani over a variety of hens from my project pens, so will have black faces and combs in varying degrees for an exotic look. These are novelty birds that don’t meet any breed standards, and will be priced accordingly. Right now, the hens in this pen include Blue Fibro Araucana, Ohiki, and Blue Appenzeller Spitzhauben. Straight run chicks $5 each starting in late March, photos to follow. Greetings, all! It’s that time of year again. Reserve your Thanksgiving Turkey today! Since we are taking orders from our Facebook page as well, the process is a little different. I’ll be sending an invoice for payment separately from your reservation request. This will also help us avoid overbooking. 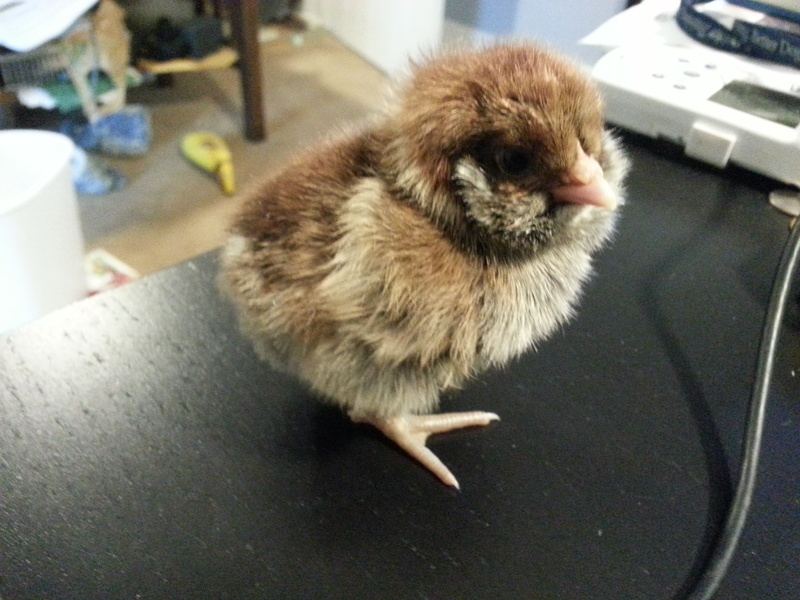 We have some surplus chicks growing out in our brooders. 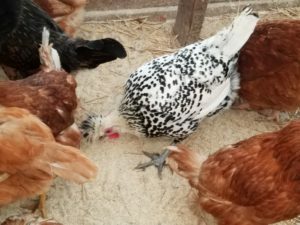 Black Ameraucana (from Blue/Black/Splash pen), two Ohiki true bantams, one Exchequer Leghorn, a few Appenzeller Spitzhauben, and an assortment of brown, green, olive and blue egg laying crosses sure to bring variety to your flock. $5 and up while they last! We also have turkey poults from our Walnut Hill Farm line. Based on Narragansett and Standard Bronze lines, I selected for good size and sustainable production for more than 6 years. These birds free range and roost like smaller color selected heritage but put a real meal on the table when the time comes. Toms average 25 lb at 7 months, hens 18 lb at 7 months. $10 each. Incubator season is coming to an end so reserve yours now. 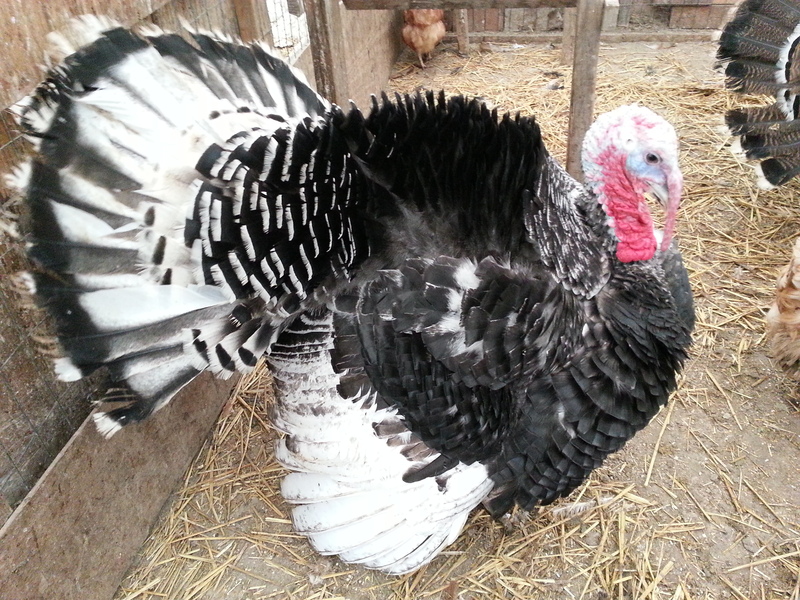 Available now and through spring we will be offering chicks and turkey poults. Uncommon breeds like Serama, Appenzeller Spitzhauben, Ayam Cemani, Sulmtaler, Naked Necks and our “backyard gems”, mixed breed birds crossed to make a rainbow of egg colors including white, cream, tan, brown, chocolate, blue, aqua, green and olive. Our turkeys include full heritage selections as well as our popular meat line that we offer for Thanksgiving each year. Varieties vary by hatch, and hatching weekly. 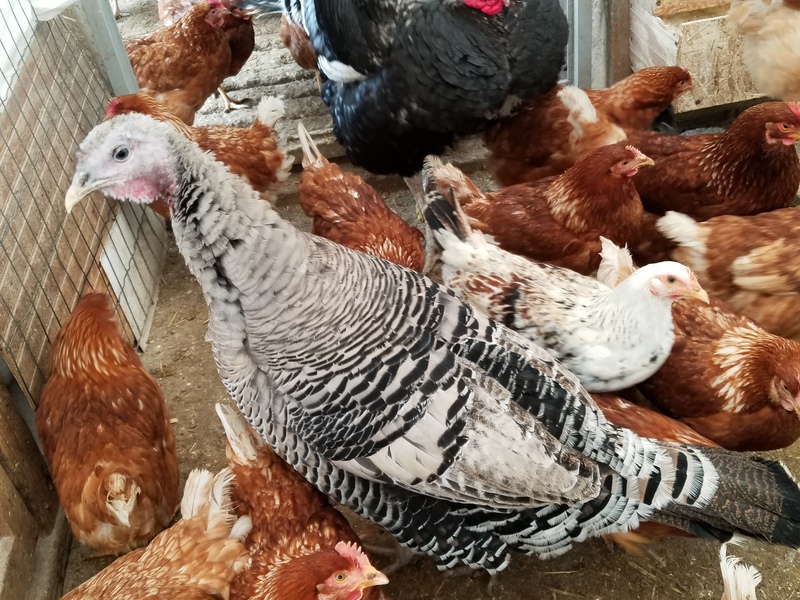 If your family is involved in a 4-H poultry program or know someone who is, we are offering our early season hatches to 4-H members first so they can make the entry dates. No minimum order and quantities are limited. I am getting most of these eggs from quality breeders and offering ALL at discounted prices to verified 4-H families. 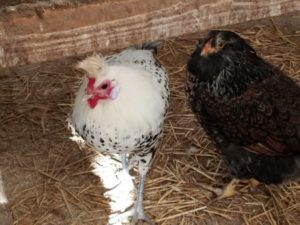 Serama – February 25-26 pickup Some pens include silkied Serama and frizzle Serama so some chicks may carry these genes. Very delicate and tiny! While these birds come from very good stock, this is a novelty breed and not all chicks will grow out to show quality. 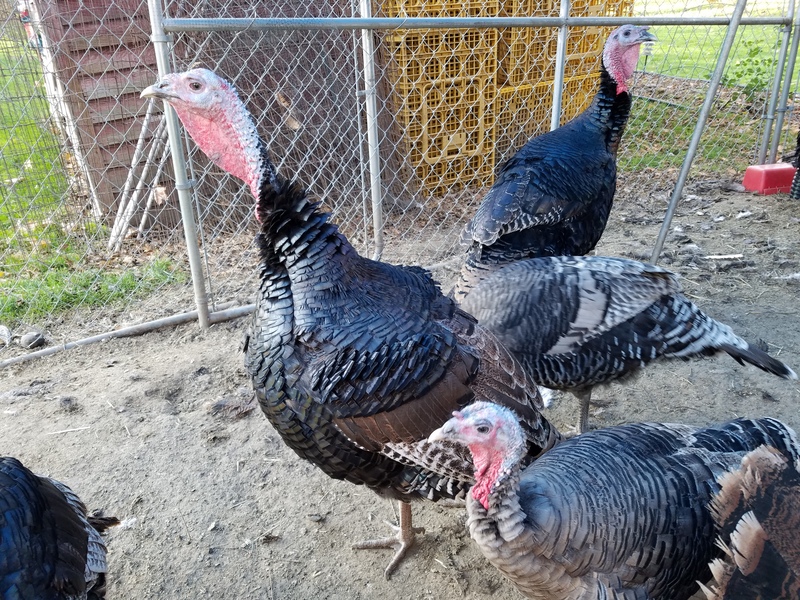 Heritage turkeys – March 4-5 pickup. Our own Walnut Hill Farm birds, variety of colors. Vigorous birds that grow large, 30 pound young toms are common. 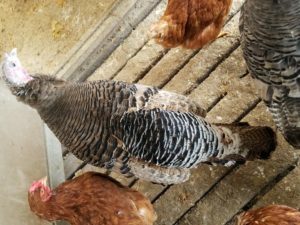 These are meat pen birds with easy livability from our own Walnut Hill Farm meat line. These are the stars of our Thanksgiving market. 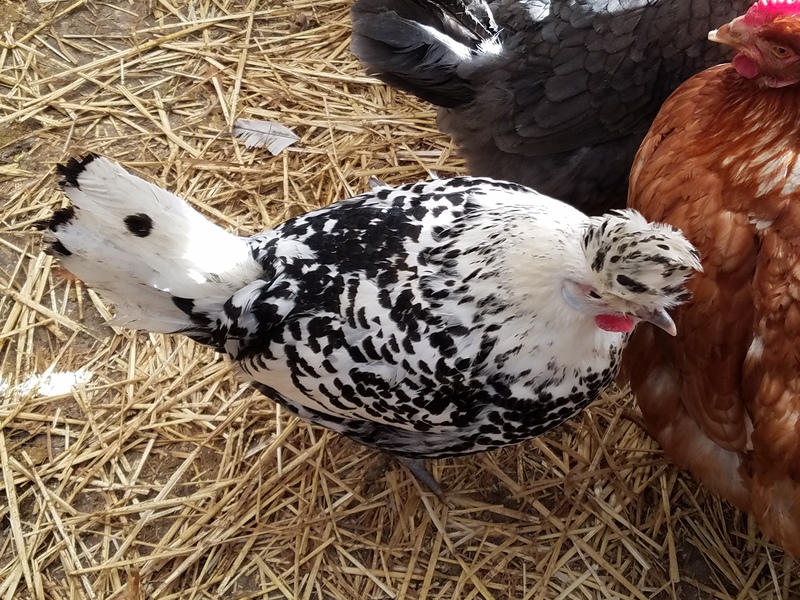 Coming soon: Purebred Ameraucana (white, lavender, blue, black, splash), Silkie, Call Duck, Ohiki, and Ohiki Easter Eggers! Keep watching this post as we add more hatches. Any unsold to 4-H after these weekends will be available to the general public. We are now accepting requests for chicken and turkey varieties to be hatched Spring 2017. Sorry, we do not ship. All chicks and poults need to be picked up at the farm. 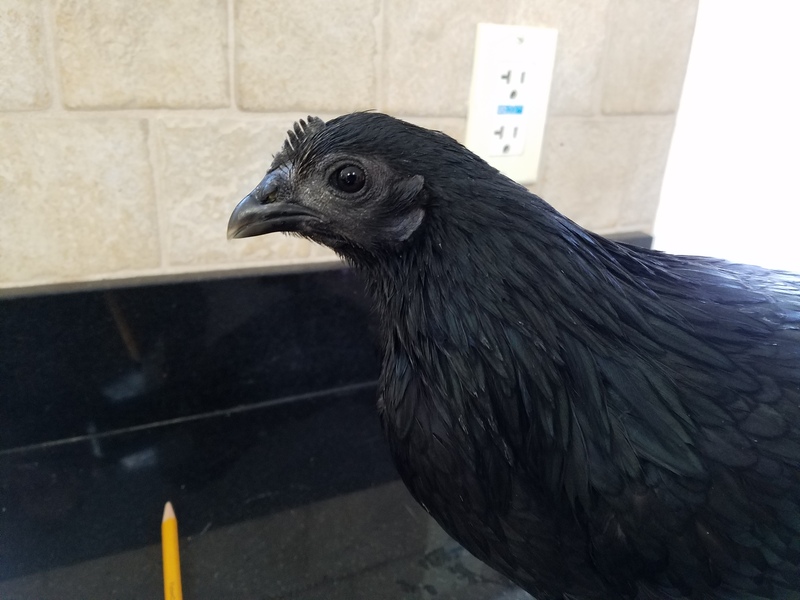 Ayam Cemani (cockerels only) $50 each with no more than one CLEAR toenail on each foot at hatch. While parent stock is all black, this breed has a very high cull rate for recessive color genetics. No guarantee on adult colors. 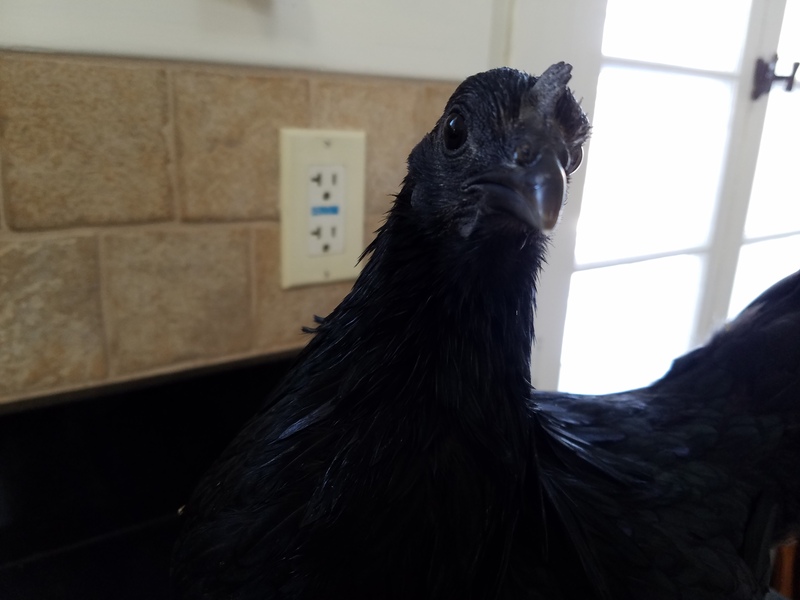 These are PURE Ayam Cemani with great fibro expression in the parent stock and no leakage. As available…cannot tell when hens will choose to lay. These are wild type layers, producing only a few clutches a year. Orders will be filled in order of request. We have plenty of fresh turkeys available DECEMBER 23, 2016 for your Christmas or anytime enjoyment. These are smaller birds from 10-20 pounds. After December 23, I will be further processing the leftover turkeys into assorted cuts. I can also cut yours into drumsticks, thighs, wings and breasts if you prefer. To ensure freshness I will be freezing the cut up birds immediately after packaging. I can also debone and grind them into fresh ground turkey on request before they are frozen. We were blessed with an overabundance of turkeys this year, so we took more in than we had orders for. We have five lovely turkeys remaining, ranging from 8 to 37 pounds. Please email farmer@walnuthillfarmmi.com for an up to date status on what is available. Cash and carry…Happy Thanksgiving!